Hello! How’s everyone been? Beerfest kicked off last week, but Nick and I had to unfortunately skip most of it. It was depressing, really, but we’ll tell you more in our next post, or the next time we meet. What ultimately turned out to be a highlight for us at this year’s festival though, was a fringe event that Hops Connect‘s Jon O’Connor (pictured, second from left) and Jonathan Lau from Munton’s (yupp, the malt guys!) put together for brewers and beer industry people. Singapore’s growing obsession for good food has seen a legion of master chefs pop by for pricey dinners, masterclasses and general schmoozing – craft beer stars, on the other hand, not so much. 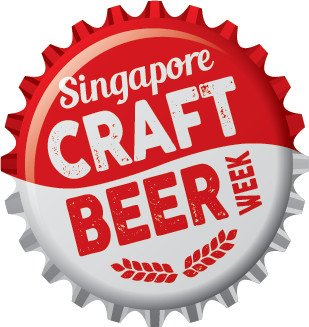 We were lucky though, to have brewers from two craft breweries leading the charge for the global craft beer movement pop by the city in a span of two weeks.